While some men worry that romance has been ruined by those who have spoken the truth, I beg to differ. Most of us understand that offensive and exploitative behavior have no place in loving relationships. Likewise, there is no evidence that women’s increased awareness and caution has diminished their interest in romance or ruined the spirit of Valentine’s Day for men who know how to behave properly. Quite to the contrary, I suggest that this revolutionary movement has taken a major step in creating better, more equal and more intimate relationships between men and women than were possible in prior times. — The beginnings of Valentine’s Day date back to the Romans and the Spring fertility festival of Lupercalia. The timing of mid-February seems to come from avian mating patterns. The celebration was not about tender feelings or romantic thoughts but about the mystery of passion and procreation. –In the 5th century, Pope Gelasius changed the celebration to Valentine’s Day, to commemorate the martyrdom of the saint. 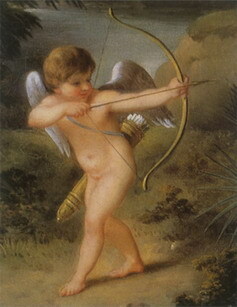 Likewise, at that time, there is no evidence that Valentine’s Day had anything to do with love or romance. — That changed in the 14thcentury, however, as a popular legend associated St. Valentine with romantic love. Stories claimed that the saint secretly married couples to save the men from having to go to war. — Valentines, first appeared in Europe in the 15th century and were hand made . 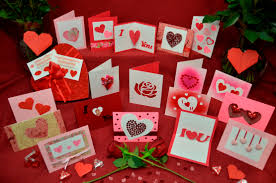 — In the 16th century , following the invention of the mechanical press, printed cards began to be sent. as the symbol for Valentine’s Day. It is fitting that one of the lessons learned from #MeToo is the importance of men (or women) having control over their sexual impulses and desires. Certainly mature love is complex and not simply with selfish desires. Real love is concerned about the feelings and welfare of one’s beloved. While there is nothing wrong with celebrating love and passion, modern images of romance stress the mutuality of the experience. Again, intense desire is not the problem that #MeToo protests. The problem has nothing to do with true romance but rather is concerned about the lack of control which prompts some abusive persons to impose their desires on an unwilling partner. With this background in mind, let us celebrate Valentine’s Day and give thanks for the joy and meaning that true love and genuine passion bring to our lives.